The title Sugar Tax refers to everything sweet having a price, particularly in relationships. 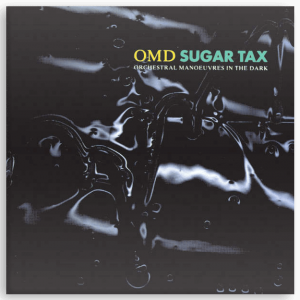 The actual track Sugar Tax, ironically, doesn’t appear on the album due to it being unfinished prior to the release of the album. Sailing On The Seven Seas was the first single taken from the album. The song came about when Andy was walking down the road and the Gary Glitter-esque drum rhythm came into his head. Pandora’s Box was inspired by silent movie star Louise Brooks. The song title refers to Brooks’ most famous film Pandora’s Box (1929). Then You Turn Away was the third release from the album. Speed Of Light was about how a relationship changes over time and draws comparisons with aspects of physics – such as the speed of light. Was It Something I Said is rumoured to be about the splitting up of the original OMD line-up. Big Town is a metaphor for the music industry. Call My Name was the fourth single taken from the album. All She Wants Is Everything was one of the songs considered for the original track listing of the album. Walking On Air took its initial inspiration from the house that Andy was living in at the time which was over 500 years old. He thought about all the people who had lived there and imagined footsteps walking up the staircase. These spectral thoughts were translated into the song to suggest a ghost from someone’s past. Walk Tall was originally a song called Coming To See You. It also uses a choral sample from Misere by Allegri. Apollo XI uses samples taken from the actual Apollo space missions. A special mix of the track was pressed up on white label 12″ for clubs. 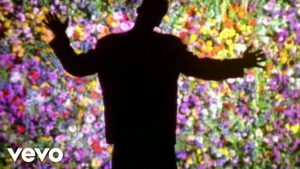 All That Glitters was a song that played on the idea of deception – to be taken in by something that appeared to be better than it actually was.